Not your typical lunch lady style hair net! 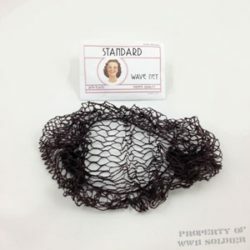 A wave net is thicker, and heavier than a hairnet, but not as bulky as a snood. 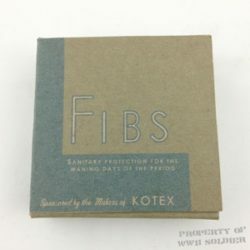 It’s perfect for vintage hairstyles where you want to keep the look neat and trim. Use it to secure hair rolls around the back of your neck to fight gravity. Pin it in with our Victory bobby pins! 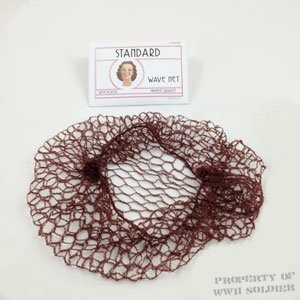 This Wave Net package is a reproduction of a WWII era hair net package. Inside the package is a modern Auburn wave net, made of 100% rayon. Made in the USA. Hair nets are not eligible for return or exchange. The wording on the envelope says: Standard Wave Net with Elastic, Highest Quality, Made in the U.S.A.